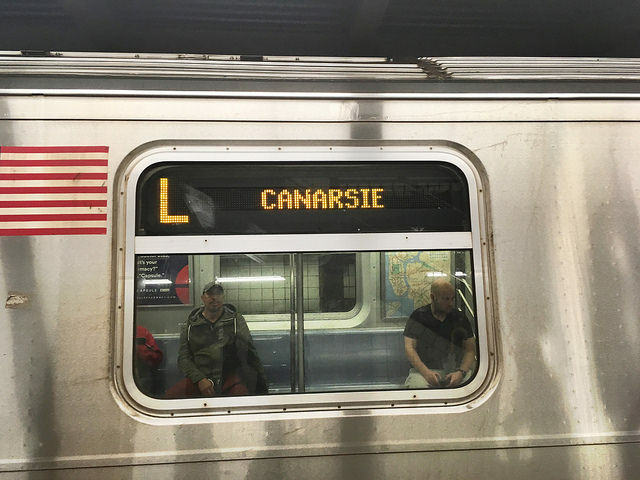 The L train line will be suspended between Manhattan and Brooklyn as repairs are made to the Canarsie Tunnel, which was damaged during Superstorm Sandy in 2012. Photo by Kerry Breen. As the MTA works to repair damage done to the New York City subway system, city residents wonder how they can trust an organization known for delayed trains, behind-schedule projects, and patchwork repair jobs. In July 2018, it was reported that just over 65 percent of weekday subway trains were arriving at stations on time. These trains, ridden by over five and a half million commuters on weekdays, were regularly delayed by mechanical problems and “major incidents,” which are issues that delay 50 or more trains, according to the MTA. Andy Byford, President of the New York City Transit Authority, who has worked in transit organizations in England, Australia, and Canada, presented an ambitious plan to overhaul the subway system in May 2018. The plan, which focused on making major upgrades and speeding up the rollout of the signal system, would cost nearly $37 billion, according to Business Insider, and would require stations to close on nights and weekends for up to two and half years. The plan, called ‘Fast Forward,’ is currently on hold, due to political clashes between New York City and New York State. Mayor Bill de Blaiso suggested that the state of New York was ultimately responsible for the state of the MTA and indicated that he would not be interested in funding it, according to the New York Times. In July, Governor Andrew Cuomo suggested that the city and state each pay for half of the repairs. No agreement has been reached to fund the plan; in the meantime, the MTA has been implementing an $800 million rescue plan designed to improve subway service in the immediate term. One part of this plan is the shutdown of the L-Train between Bedford Avenue in Brooklyn and 8th Avenue in Manhattan, which will allow the MTA to make necessary repairs to the Canarsie Tunnel. While the MTA and Department of Transportation have been preparing for the L-Trian shutdown since 2016, New Yorkers are worried about the effects it will have on their commutes and neighborhoods. Supplemental buses will run through Lower Manhattan, and commuters will also be encouraged to bicycle to work. Multiple new bike lanes have been installed on 12th and 13th Street; the CitiBike program has also been expanded. The MTA has stated that these bus lanes and bike routes are temporary, but residents of Lower Manhattan are concerned they may be permanent. While Byford called some parts of the project “legacy items” that will remain after the repairs are completed, the items he listed included subway trains with more cars attached and larger and more accessible subway stations, making no mention of the bus routes or lanes. He also said that while the L-Train is being repaired, the stations it stops at will also be altered so that they will be more effective in the future. Ettinger also pointed out that while the tunnel repairs are not supposed to begin until April 2019, he had seen construction already beginning, more than six months before the project was supposed to start. “We are starting some of the work right now, and the reason for that is, we have a construction season and we need to get some of the work done on the surface streets before the weather turns cold and the snow starts falling,” said Polly Trottenberg, Commissioner of the New York City Department of Transportation. 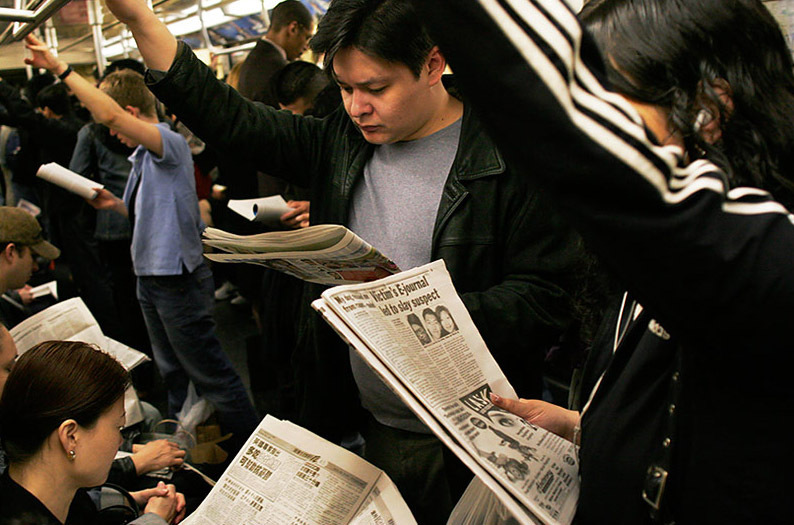 Commuters are also expected to have no weekend service on the L line for 15 weeks before the line is shut down in April so the MTA can complete necessary maintenance work and track improvements. However, the project timeline has been shortened from an initial estimate of 18 months, after contractor Judlau Construction Corp. promised to get the job done in 15 months. However, the contractor has had problems with the subway system before, finishing work on the Second Avenue Subway several months behind schedule, and has been repeatedly behind on work deadlines for Cortlandt Station, which only reopened earlier this month. Smaller repairs are also a problem for the MTA. As of 2017, more than half of the subway’s signal replacement projects were delayed, according to NY1. Other plans for repairs, including renovations to eight subway stations, were delayed due to another dispute between the State of New York and New York City over funding.